Our dangerous drug lawyers handle lawsuits against pharmaceutical companies and drug manufacturers throughout the United States. These cases seek fair compensation to patients who have been harmed by these medications prescribed to them by their physicians. Lawsuits filed against these drug manufacturers can result in significant settlements. Dangerous drug lawsuits are often the result of a drug that is brought to market and sold to the public too quickly. 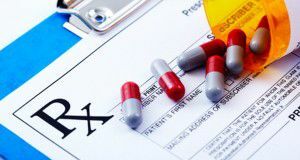 There can be errors in the testing by the drug manufacturer which do not properly identify the potential or likely risks of the drug before it is sold to the public. Other times, the pharmaceutical companies conceal the dangers from the FDA so that they can get approval to place the drug on the market. The side effects of these drugs can cause serious injury and harm, and in some cases death. GranuFlo: This drug is used in the dialysis process and has been linked to an increased risk of cardiopulmonary arrest and sudden cardiac death. Paxil and other SSRI antidepressants: These medications are anti-depressants which can increase the risk of birth defects, pulmonary hypertension, and other problems in children born to mothers exposed to Paxil. Other drugs including Zoloft, Lexapro and Prozac are also linked to birth defects including heart and lung defects. Fosamax: This is a medication prescribed for osteoporosis but has been allegedly linked to femur fractures and bone decay of the jaw. Pradaxa: This prescription medication is a blood thinner used for the prevention of strokes and blood clots in patients with abnormal heart rhythm (atrial fibrillation). It has been linked to people suffering from fatal bleeding while on the drug. Risperdal: This prescription drug is primarily used for the treatment of psychotic disorders, such as schizophrenia and bipolar disorder. Risperdal (risperidone) and many of its generic versions have been linked to serious side effects, including breast development in males (gynecomastia), heart problems, diabetes, stroke, and more. Testosterone Replacement Therapy: Several of the leading brands of testosterone replacement, or "Low T" has been linked to health risks and injuries, including stroke, myocardial infarction, heart attack, blood clots, pulmonary embolism (PE), deep vein thrombosis (DVT), and even death. Onglyza: This controversial medication has been linked to heart attacks, heart failure and pancreatic cancer. The drug is used to help control blood sugar in type 2 diabetes patients who do not suffer from diabetic ketoacidosis. As of February 2017, approximately 85 Onglyza claims reportedly remain in active litigation. Taxotere Chemotherapy Hair Loss: Lawsuits have been filed against the Taxotere drug maker for women who suffered permanent hair loss, or alopecia, after being treated with this cancer medication. Abilify: This drug is linked to compulsive behaviors, including compuslive gambling, spending, and eating. Hernia Mesh: This controversial medical device intended to treat hernias has been found to cause hernia recurrance. Invokana & Invokamet: This drug used to treat type 2 diabetes can have dangerous side effects including diabetic ketoacidosis and kidney failure. Omontys: This drug is used to treat anemia in dialysis patients with chronic kidney disease. It can cause severe allergice reactions, as well as other injuries such as strokes. We regret that we cannot assist if you have questions with the dangerous drugs listed below. You may want to contact a law firm in your area to see if they will accept your case. Actos: This drug is prescribed for the treatment of diabetes but has been found to increase the risk of bladder cancer. Benicar: This prescription medication is used to treat high blood pressure (hypertension) in children and young adults. It has been known to cause sprue-like enteropathy. Type a chat with our online specialist. A dangerous drug attorney will call you directly. Warning: There are strict time deadlines for filing Michigan dangerous drug lawsuits. Find out if you are entiled to a dangerous drug settlement.